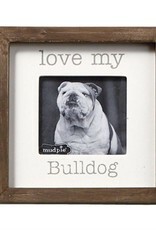 MUD Bulldog Sitting Plq - Gracious Me! Dogs aren't just pets, they're family! 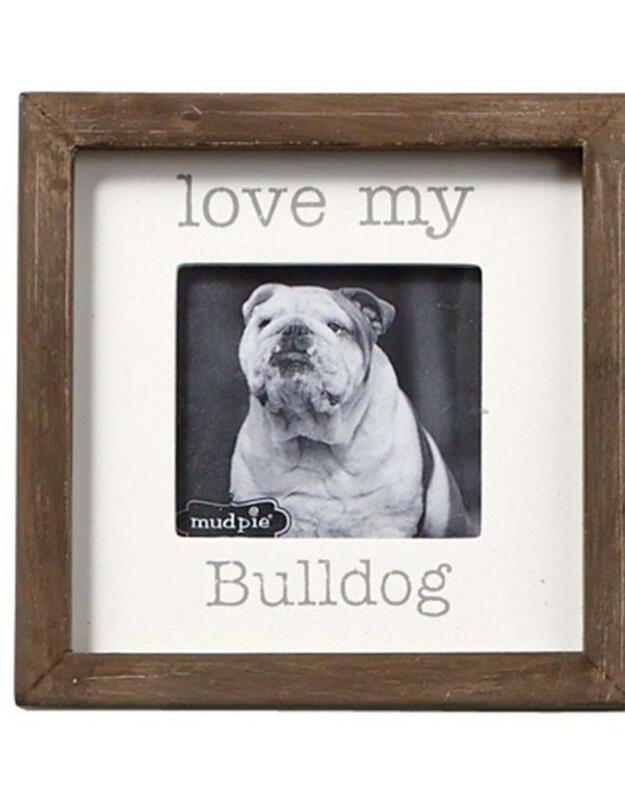 What better gift to give the dog lover in your life than this shadow-box style, free standing small wooden plaque featuring printed "love my" breed sentiment and 3" square photo opening, with the photos inserting through back of frame.